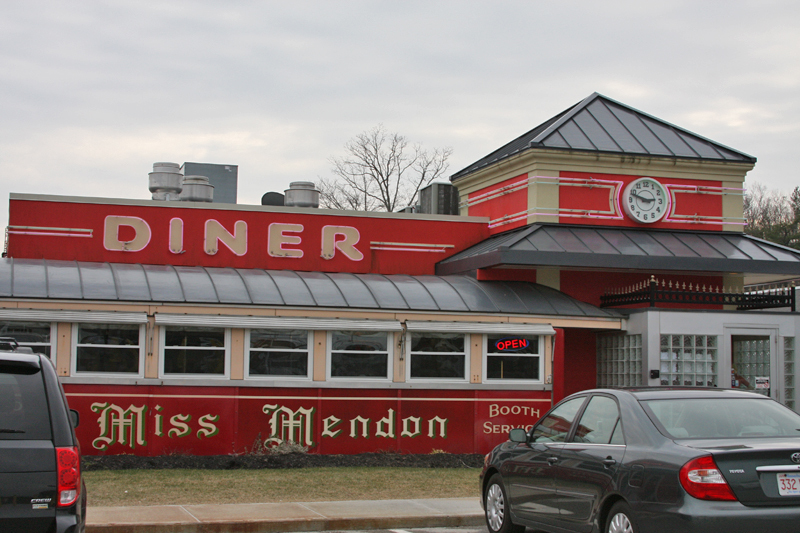 The Miss Mendon diner first came to life as Miss Newport, Worcester Lunch Car Diner #823. She was built in 1950 by that company in Worcester, Massachusetts. It went all the way up to Newport, Vermont – at the very tippidy top of the state near Canada! But after several decades the tourism there faded and it got shut down in 2003. It sat idle in Salisbury for a few years. 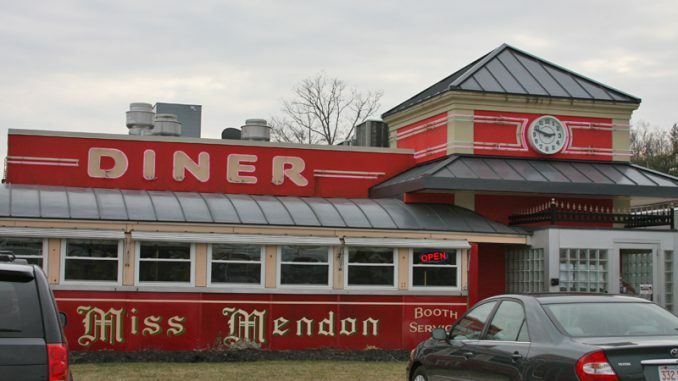 Luckily, in 2009 the owners of the Imperial Cars dealership decided to invest substantial money in not only fully renovating the diner but in building an entire restaurant complex around it. There’s a pavilion, an ice cream spot, and much more! 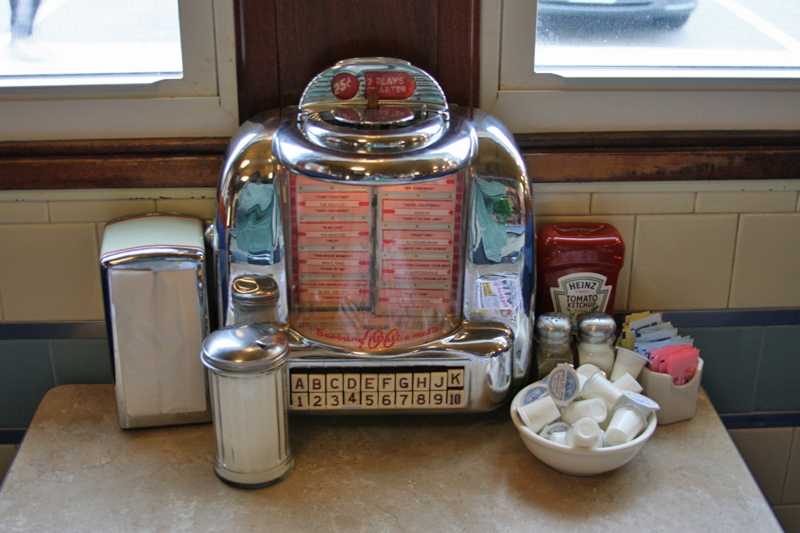 You can eat in the classic diner if you wish or you can go to a variety of other places to eat. Here’s the diner core with a new entrance added to the right. 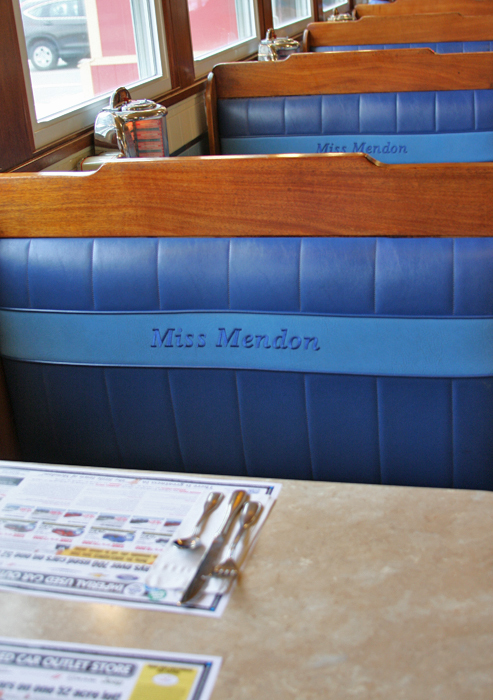 The booths inside are done with lovely embroidered blue vinyl. 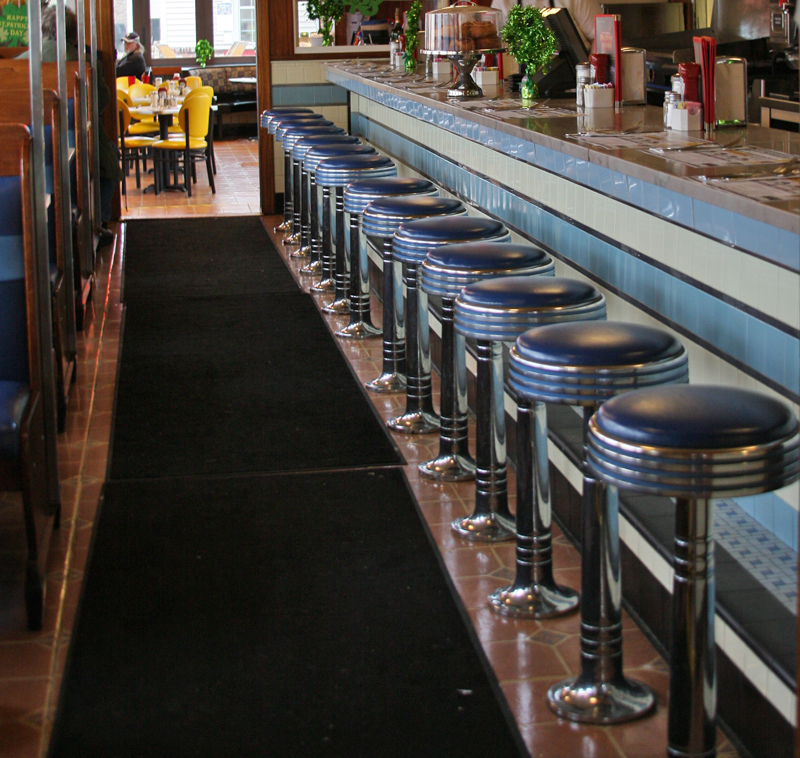 Here’s the classic row of stools along the counter area. The booths even have jukeboxes! 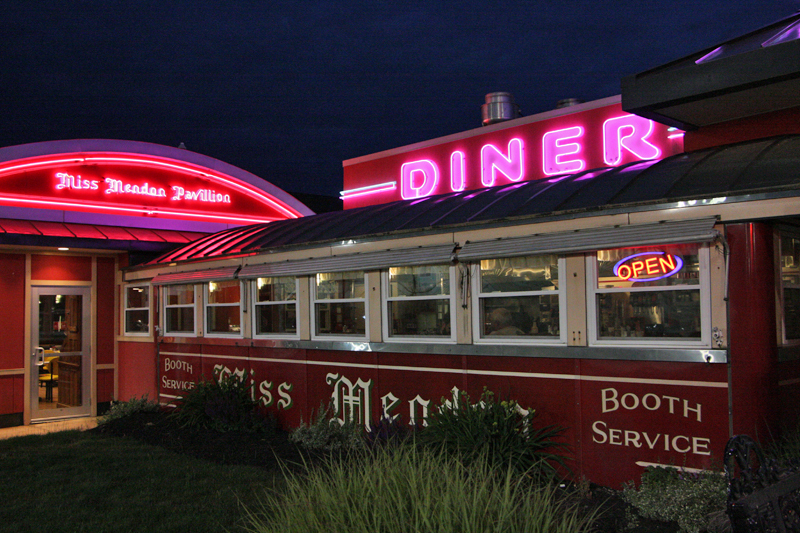 The sign wasn’t original to the diner but adds a nice, classic touch. 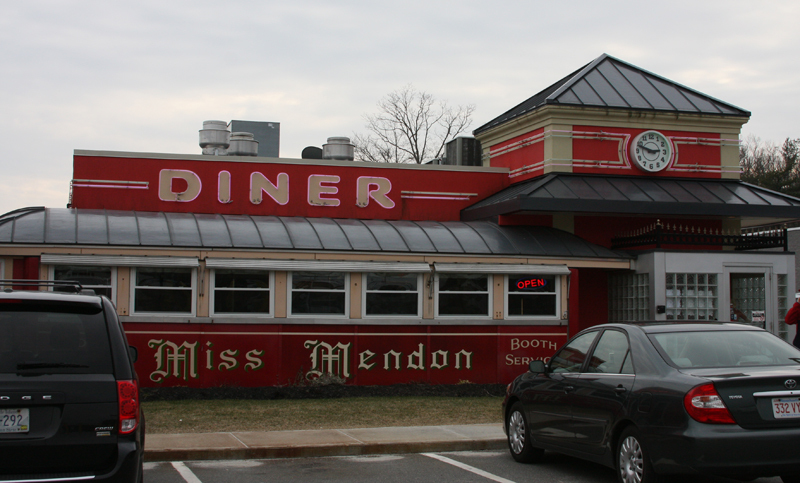 Here’s another look at how the diner fits in with the new entrance on the right. Here’s a shot of it connecting to the pavilion on its other side. 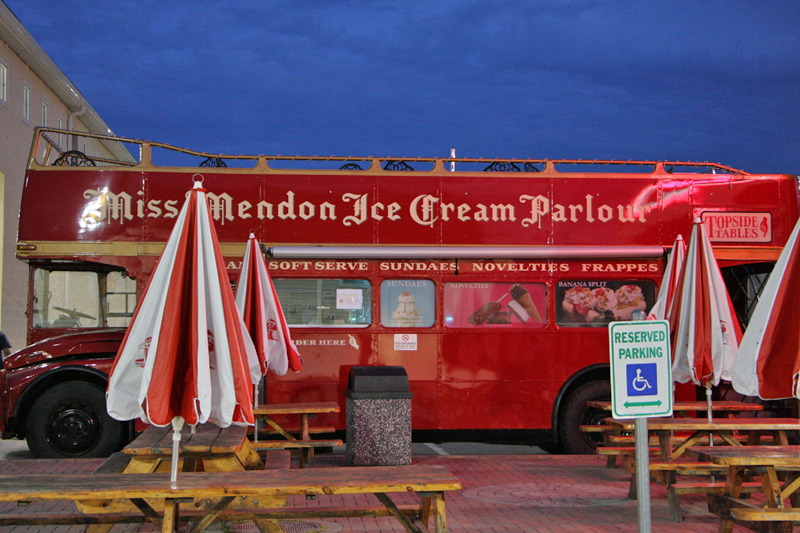 And further over to the left is a cool bus turned into an ice cream spot! Well worth a drive into Mendon to experience this all!